Is pointing out that a crowd is “mostly white” like it’s a bad thing in itself racist? 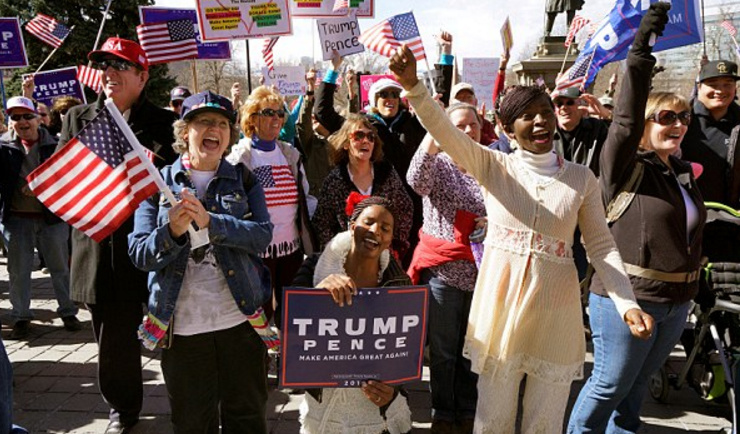 Supporters of US President Donald Trump were holding rallies in towns and cities across the country on Monday, partly as a rebuttal to waves of anti-Trump protests that have taken place since the Republican’s election last November. Trump was not scheduled to appear at any of this week’s rallies. The venues range from a park in the small town of Gravette, Arkansas, to the plaza outside the Georgia State Capitol building in downtown Atlanta.